Anthony Devlin/Getty Images; Samantha Lee/Business InsiderBank of England Governor Mark Carney. 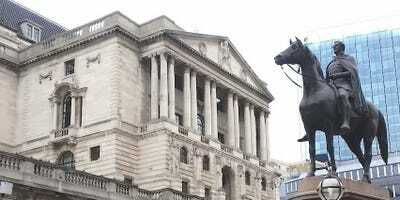 The Bank of England is set to hike interest rates for just the second time since the financial crisis. Britain’s central bank is expected to raise rates from 0.5% to 0.75%, taking the UK’s base rate of interest to its highest level since March 2009. 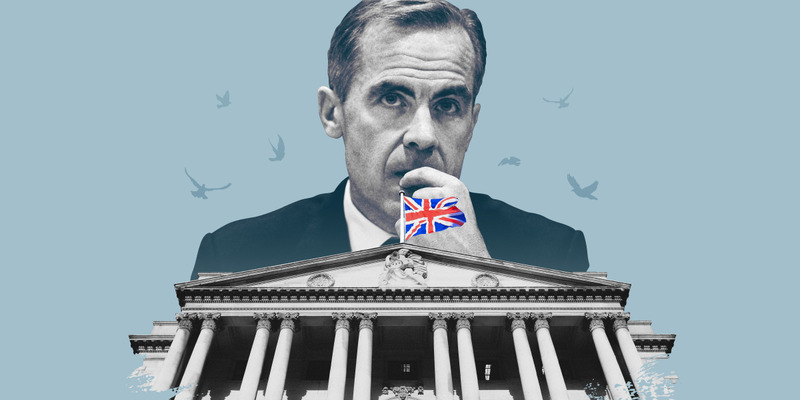 LONDON – At lunchtime today, UK time, the Bank of England looks set to raise interest rates for just the second time since the financial crisis. If financial market expectations are met, Britain’s central bank should raise rates from 0.5% to 0.75%, taking the UK’s base rate of interest to its highest level since March 2009. Markets are pricing a more than 90% chance of a hike, according to the latest data. Governor Mark Carney and the other eight members of the bank’s rate setting Monetary Policy Committee have been signalling that a hike is likely to come at some point in 2018 since their last hike in November last year, and Thursday looks like the day it will happen. Many had expected a hike in May, but weaker than expected data stopped the committee from doing so. Now, however, the time – if not perfect – is right to raise rates. “There is only a very remote possibility that the BOE won’t hike rates on Thursday,” Kathleen Brooks, research director at Capital Index said in an email. Carney and his team’s problem is that markets are now so convinced that a rate hike is coming, that the committee’s credibility would be under threat if it were to leave rates on hold. Throughout his tenure as governor, Carney has faced accusations of being a so-called “unreliable boyfriend,” frequently promising rate hikes and then ultimately failing to deliver. The accusation was levelled at Carney after May’s policy meeting, which many had expected would see a rate hike. 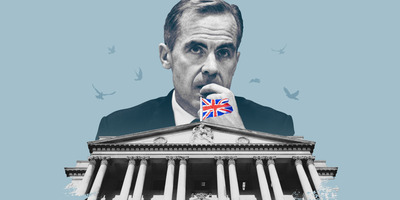 “Not for the first time, Mark Carney’s policy of guiding the markets as to what to expect has backfired,” Ben Brettell, a senior economist at FTSE 100-listed investment manager Hargreaves Lansdown said at the time. “Guidance and communication from the MPC over recent months, and in particular the lack of any attempt to rein in the ever higher market-implied probability of a 25bp hike, suggests a majority of members are set to vote for a hike on Thursday,” he said. But Wraith is one of a handful of analysts who sees the bank’s likely hike as premature. He called it an “unnecessary risk” in a note sent to clients this week. “We continue to view even the tentative tightening embarked on since late 2017 as an unnecessary risk, and see several reasons why a hike is not justified at this point in time,” he added. “The latest edition of the Ipsos Mori Issues Index provides striking evidence that concerns about Brexit are the reason that consumer confidence is ailing,” he continued. Wraith doesn’t believe that such data will stop the Bank of England from hiking rates but believes it should, particularly when considering that this behaviour is going against the bank’s own forecasts. “It has long been the MPC’s explicit assumption that ‘households and companies (will) base their decisions on the expectation of a smooth adjustment to new trading arrangements’,” he said. “Subsiding consumer and business confidence, especially in forward looking gauges, together with the responses to the Ipsos Mori opinion poll, suggest strongly in our view that private sector economic agents are increasingly and demonstrably not behaving in this way,” Wraith concluded. Given that a rate hike is almost a foregone conclusion, other parts of the MPC’s decisions, and the minutes of the meeting are likely to provide more intrigue. Kathleen Brooks said that one of the main things to look for will be the “mechanics of the rate decision,” particularly with regard to how the vote goes in terms of who votes for what. “The market is currently expecting an 8-1 split in favour of a hike, with Sir Jon Cunliffe the only member expected to dissent and vote against a hike,” she wrote. Mark Carney’s press conference will also be of interest, particularly if the governor provides an update on the equilibrium rate of UK interest rates. Here’s Brooks one last time: “Earlier this year the BOE Governor Mark Carney said that the Bank would give its view on the latest equilibrium, or neutral, interest rate for the UK economy.